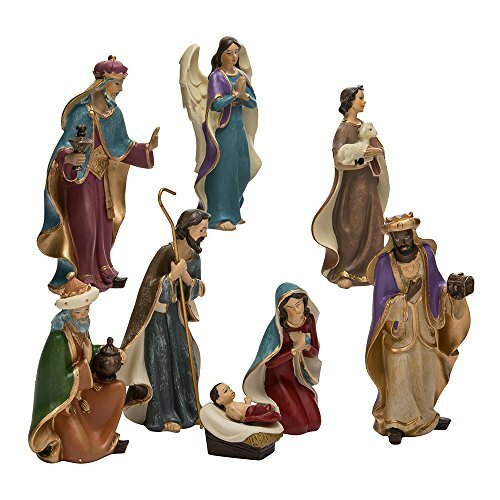 Celebrate and remember the true meaning of Christmas with this 6.25-inch resin Nativity set by Kurt Adler. Each of the 8 separate pieces in this set features bold, lively colors accented by gold and bronze detailing. Set includes the Holy Family (the Baby Jesus is not removable from the manger), the Three Wise Men, a shepherd holding a lamb and an angel.